10 years ago, Ramesh Ferris hand-cycled across Canada to remind us that polio was a threat. Polio is still with us and a lot more effort is necessary to wipe out this dreaded infection. In 2008, Ramesh Ferris, a polio survivor, hand-cycled over 7000 kilometers, from Whitehorse, Yukon, to Cape Spear in Newfoundland. This incredible journey, reminiscent of Terry Fox's incredible cross-country run in 1980 to raise awareness about cancer, was Ramesh's way of reminding Canadians that polio was a persistent threat, even if the virus had disappeared in many countries. Polio was once a disease feared worldwide, striking suddenly and paralyzing mainly kids for life. There are striking images and stories of paralyzed patients in iron lung machines. "A country is not polio-free until the world is polio-free. Polio is one plane flight away." These were Ramesh's messages to everyone he met on his long journey in 2008. 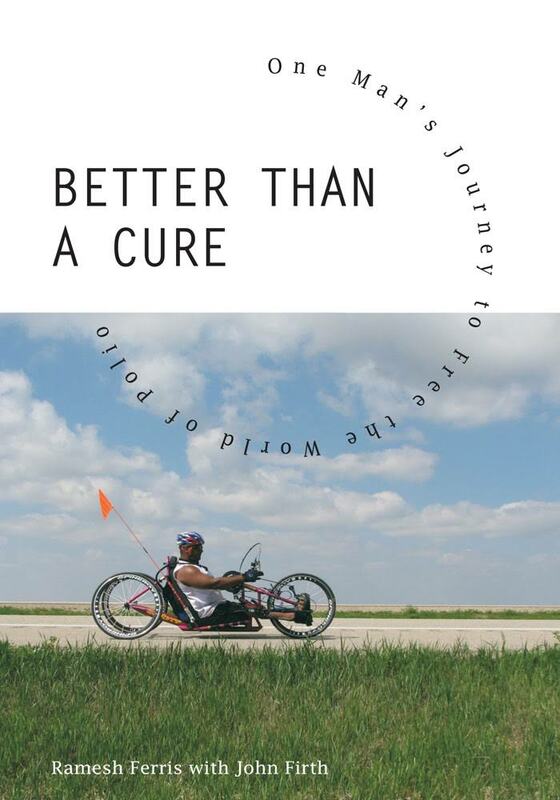 Ten years later, I managed to read his book "Better than a cure," in which he recounts his Cycle to Walk campaign and his life story. I wish his book (image below) was mandatory reading for all those who deny the benefits of vaccines. In his book, he writes "I contracted polio 25 years after the world had better than cure - it had a prevention." Ramesh was born in Coimbatore, in Tamil Nadu state in India. At the age of 6 months he contracted polio and his legs were paralyzed for life. At the age of 1 and a half Ramesh’s birth mother Lakshmi placed him in an orphanage. After a protracted and difficult adoption process, at the age of 2 and a half, Ramesh was adopted by a family in Yukon. When Ramesh arrived in Canada in 1982, he became the first International Adoptee in Yukon Territory. After his adoption he received several corrective surgeries at the Vancouver Children’s Hospital and learned to walk for the first time. In 2002, Ramesh went to India for the first time as an adult, and had a reunion with this birth mother and his family in India. Ramesh visited the orphanage where he was adopted from. It was during this visit that Ramesh got a glimpse into what his life could have been if he wasn’t adopted. 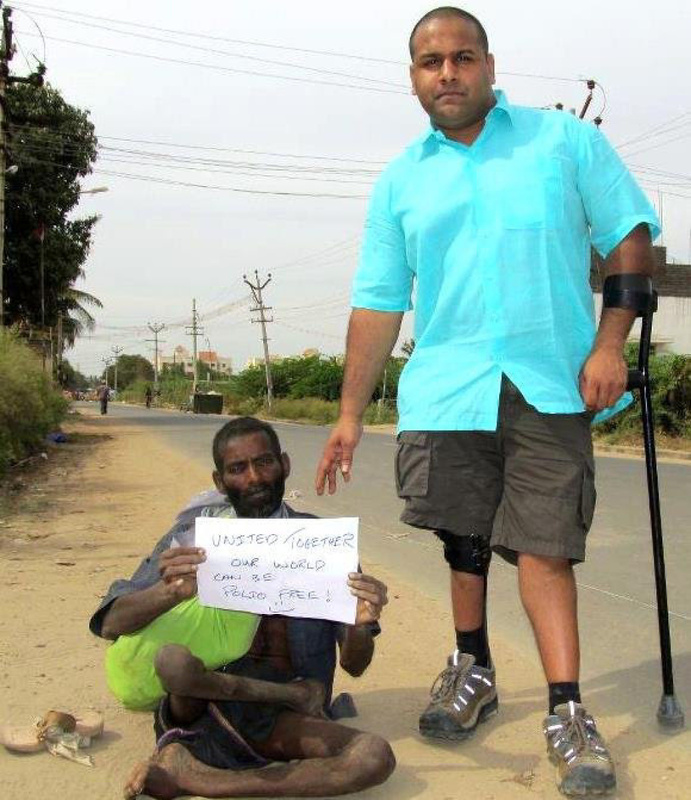 In India, Ramesh witnessed several polio survivors crawling on the streets of India (image). Clearly, they did not have access to surgery or rehabilitative supports (braces, crutches, hand cycles, etc) that Ramesh had. Deeply affected by what he saw, Ramesh resolved to make a difference by becoming a global polio advocate, and an advocate for vaccines. In his book, Ramesh writes about his life being a mixed blessing. On the one hand, he has had to deal with paralytic polio and its consequences for him and his family. On the other hand, he could escape a life of poverty in India, and become a globally recognized advocate for polio, and find his mission in life. In 2018, at the 10th anniversary of his famous Cycle to Walk campaign, Ramesh is still passionate about advocating for ending polio, and we should all be grateful for amazing advocates like him. Today, polio is still a threat in three countries (Afghanistan, Nigeria and Pakistan) as they have never stopped transmission of endemic wild poliovirus. 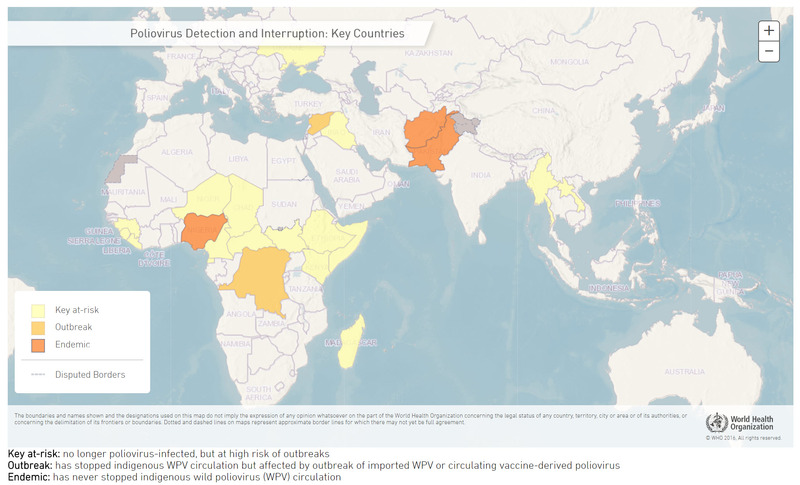 17 key countries are at risk of polio outbreaks (map below). Like smallpox, polio cannot be eradicated without all countries cooperating and doing their bit. 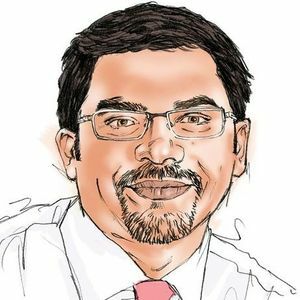 Although tremendous progress has been made, the endgame of polio eradication will require concerted effort, sustained funding, and ongoing advocacy, with advocates like Ramesh Ferris leading the charge. "We need to harness the power of poop"